Race around the two-level track at high-speed or put your skills to the test in the high-tech arcade at Andretti Indoor Karting in Orlando, Florida. 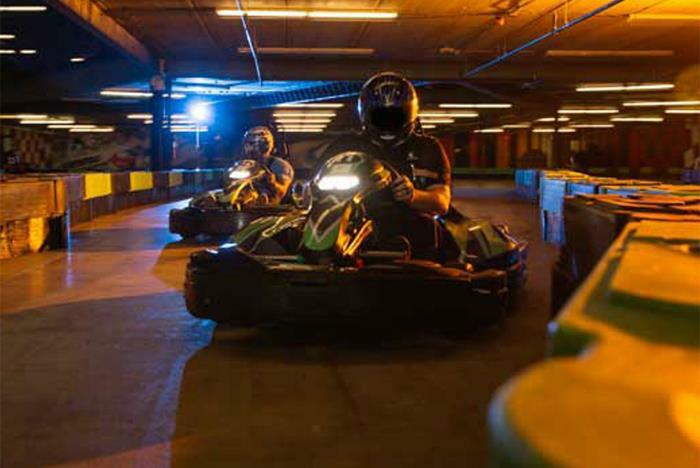 As the area’s premier entertainment destination, Andretti Indoor Karting offers exhilarating fun for everyone. 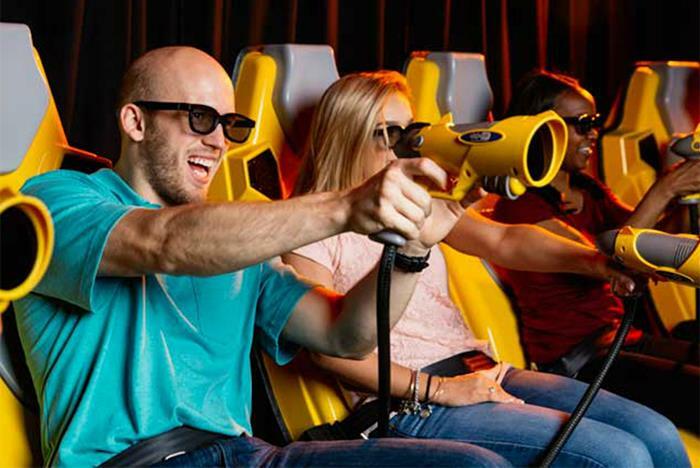 Plus, with a ropes course, VR racing simulators, a laser tag arena, bowling, and a motion theater, you’re all set for a day full of thrills in Orlando. 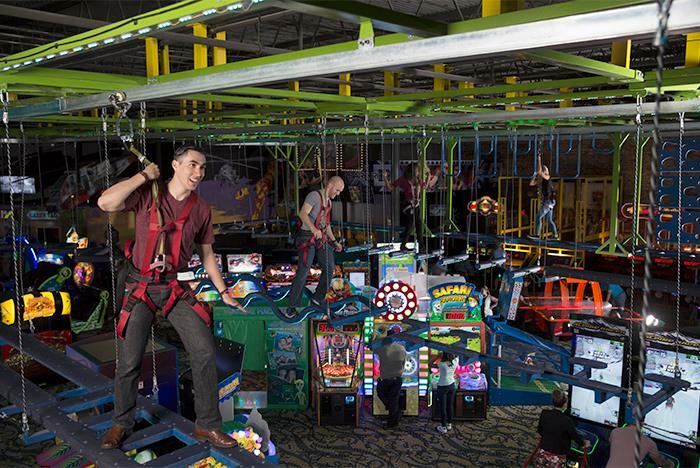 The 155,000+ sq ft facility features high-speed Superkarts, an arcade, laser tag, ropes course, and more. Participants under the age of 18 must have a parent or guardian sign a waiver prior to the activities. 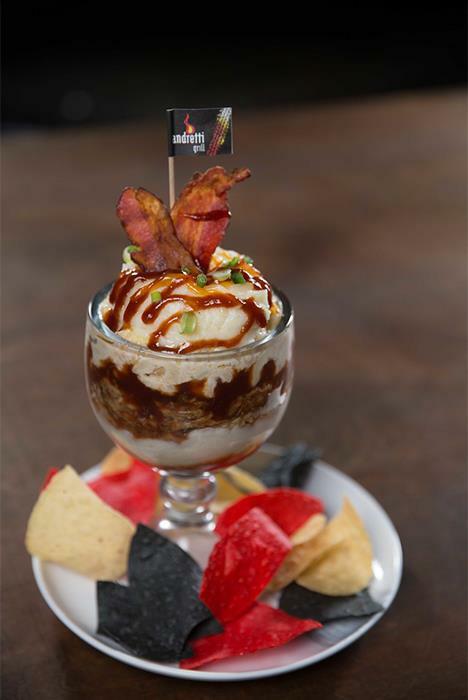 Andretti Grill combines good times with amazing food. Closed-toed shoes are required for multiple attractions and activities at the facility. 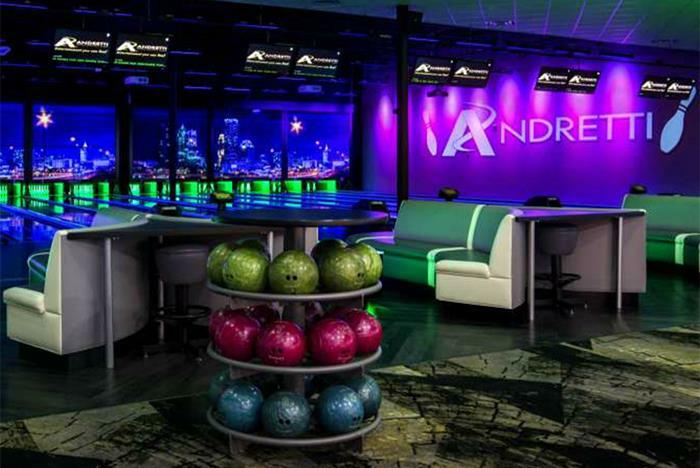 Andretti Indoor Karting & Games is Orlando’s newest premier entertainment and event destination featuring heart-pounding attractions, delicious cuisine and unique event spaces. 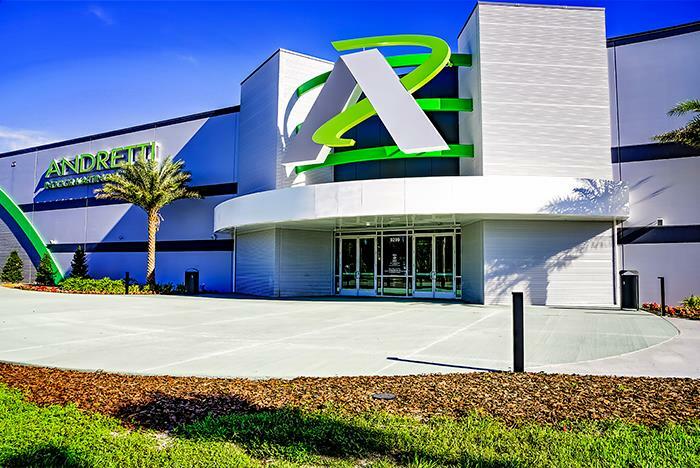 Our 155,000+ sq ft facility features high speed electric Superkarts on a two-level track, State of the Art Arcade, Ropes Course with the first curved Zip Line, Professional VR Racing Simulators, Two-story Laser Tag arena, 12 lanes of Boutique Bowling and a Dark Ride Interactive Motion Theater. No need to step out to fuel up as our Andretti Grill delivers fresh, made from scratch American favorites with a Brick Pizza Oven, XXL Big Green Egg and Full Bar. What do I need to wear to race? Drivers must wear flat closed-toe shoes (no flip-flops or sandals) and preferably shorts or pants (skirts are not recommended). Long hair should be pulled back into a ponytail and tucked into your shirt. No hats of any kind. No loose or flowing clothing or scarves. These restrictions are put into place for your safety! Personal helmets must be Department of Transportation (DOT) approved with a full face cover and visor. Can I use a GoPro mounted camera while racing? Yes, but please see the Track Attendant before your race so they can assure your camera is securely mounted to the kart or your helmet. What do the flags mean on the track? 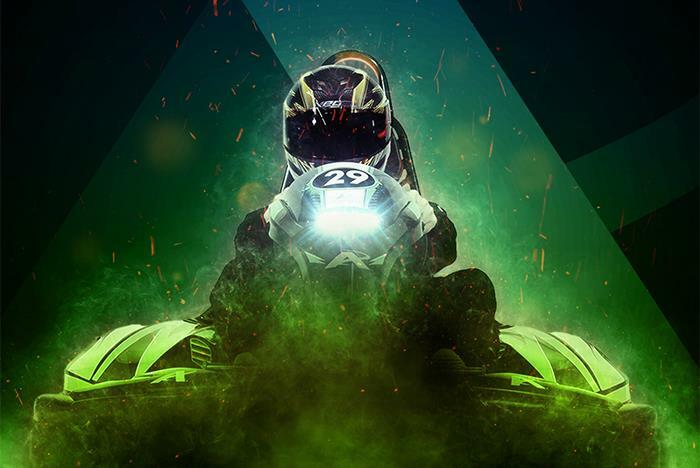 Checkered Flag– Last Lap, slow down and proceed to Pit Lane. How fast are your karts? The Junior Karts reach speeds up to 15 mph and the Adult Karts go up to 35 mph. Can I bump and push everyone out of the way on the track? No, these are not bumper cars. These are racing Super karts that are capable of reaching high speeds. 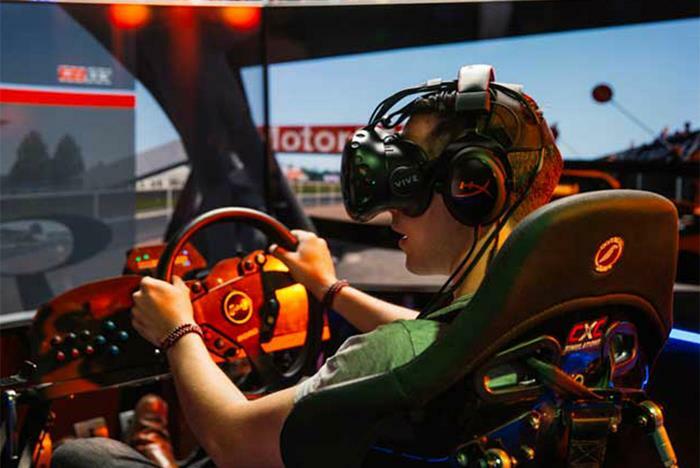 We want guests to come in and experience how much fun it is to race. We will not tolerate bumping, aggressive driving, or anyone causing accidents on purpose. We strictly enforce the rules for everyone’s safety. What are the height, weight, and age restrictions for racing and the attractions? Junior Race: Minimum height 48" tall. Recommended Minimum Age: 7 yrs old. The Gear Coaster: Minimum Height: 48" tall, Maximum Weight: 280 lbs. Sky Trail Ropes Course With Curved Rail Zip Line: Minimum Height: 48" tall, Maximum Weight: 300 lbs. 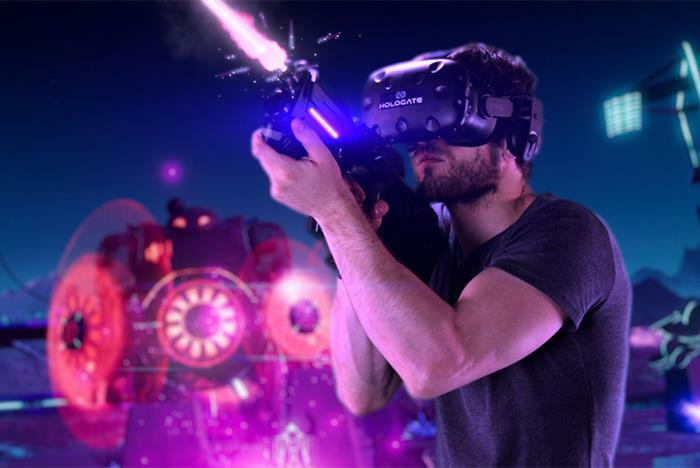 Virtual Reality Hologate: Minimum height: 48″ tall. XD Dark Ride Motion Theater: Minimum height: 40″ tall. Yes, to participate all guests must sign a waiver. Those under the age of 18 must have a parent or guardian also sign the waiver. Is food available at the attraction? Yes. Andretti Grill is on-site for your convenience.